A common technique for improving memory skills is to experience material being presented through multiple sensory dimensions. This multiple sensory memory technique not only strengthens the brain’s impression of the actual material being presented, but also strengthens the ability for the brain to make multiple connections to other stored information effectively making learning and memorization much easier. Toys that apply the cross-sensory memory method technique like the Multi-Sensory Memory Box for example, combine visual input, sounds (speaking) and tactile stimulus (touching) together as one experience to develop the brain’s cross fitness skill. 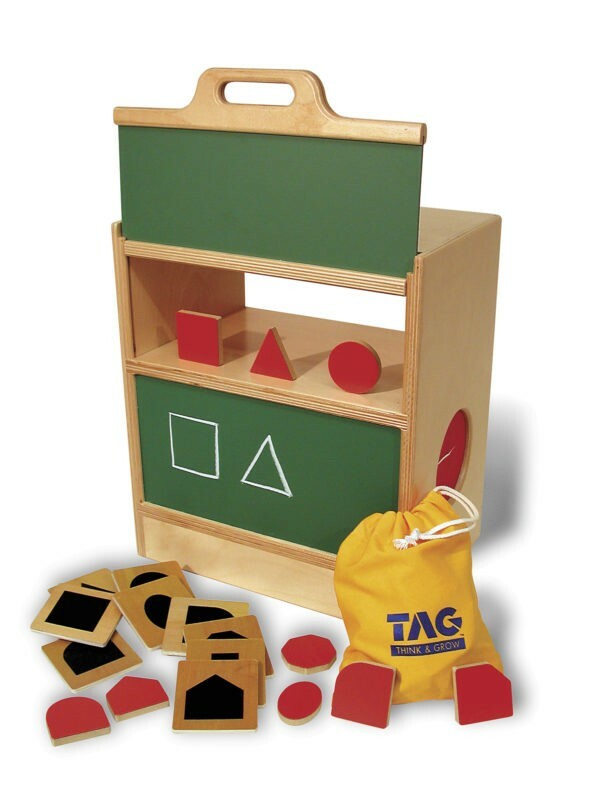 The Multi-Sensory Memory Box from TAG Toys combines the visual presentation of information (upper portion) with a lower section that presents an actual object for the child to touch and hold. As children (often working with a parent) verbalize the shapes and colors presented, the child effectively develops the cross-brain memory skill which prepares them for more advanced learning achievements. Join TAG Toys on Facebook. This entry was posted in Babies, Childhood, Childhood Development, Children, Education, Infants, Kids, Pre School Kids, Toddlers, Toys, Uncategorized and tagged cognitive, learning, memory, mental fitness, sensory.